Seventeen innovators from India has bagged five grand awards and six special awards at the Intel International Science and Engineering Fair (Intel ISEF). These young innovators represented team India at the Intel ISEF, which was held this year in Pittsburg Pennsylvania, USA in May 2015. Arsh Shah Dilbagi from DAV Public School, Panipat won First Awards of $1000 and $500 from the American Intellectual Property Law Association and Patent and Trademark Office Society respectively. He was also awarded an Intel ISEF Third Grand Award of $1000 in the Embedded Systems category, and a Third Award of $500 from the American Psychological Association for the project, ‘Breath into Speech for the Disabled’. Onkar Singh Gujral from La Martiniere for Boys School in Kolkata won a First Award of $1,000 from the Association for Computing Machinery, and an Intel ISEF Second Grand Award of $1,500 in the Systems Software category for his project ‘Image Processing Algorithms towards Optical Detection of 2D Nanomaterials’. An Intel ISEF Third Grand Award of $1,000 went to Ravi Pradip from the Dayapuram Residential School in Kerala for his project ‘Plumeria Blooms for Organic Electronics!’ in the Materials Science category. In the Plant Sciences category, Maharaja Agarsain Public School Delhi’s Mansi Aggarwal and Harshit Jindal received the Intel ISEF Fourth Grand Award of $500 for their project ‘Begonia nepalensis: An Effective Herbal Ointment against Enterobiasis.’ Also winning the Intel ISEF Fourth Grand Award of $500 were Aditya Bhargava and Komal S from Sharada Vidyanikethana Public School, Mangalore, for their Materials Science project ‘Highly Sensitive Nano-Ferrite for Detection of Carbon Monoxide in Air’. “We are extremely proud of this remarkable achievement by these young scientists from India. Their success at Intel ISEF is a celebration of the spirit of innovation and scientific inquiry that will bring relevant, practical and innovative solutions to social situations by intelligently leveraging technology,” said Dr. Rajiv Sharma, Executive Director, Indo-US Science & Technology Forum (IUSSTF). 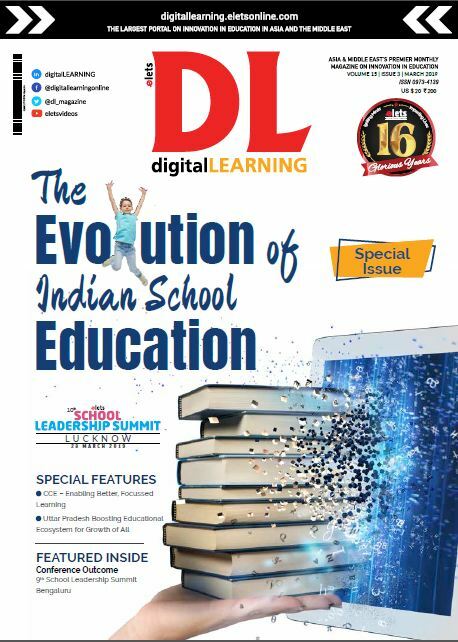 “These young people are the future of India; and it is when they go beyond the boundaries of the country to explore their potential on the world stage that they truly gain exposure and experience and prove their mettle” said Dr. B P Singh, Head, NCSTC Department of Science and Technology (DST) Government of India. This year’s Team India at Intel ISEF featured 20 bright students from the country- the winners of the Initiative for Research and Innovation in Science (IRIS) national fair 2014. 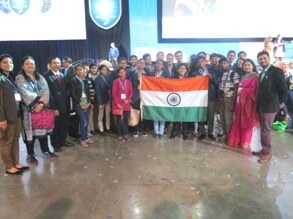 This year Department of Science and Technology (DST) in association with Indo-US Science and Technology Forum (IUSSTF) sponsored 10 student observers from IRIS and affiliated national fairs to Pittsburgh USA, to attend the Intel ISEF and experience a week-long scientific exposure visit in Washington DC after the fair.